The Upright Citizens Brigade Comedy Improvisation Manual (Paperback) | The Drama Book Shop, Inc. The Upright Citizens Brigade Comedy Improvisation Manual is a comprehensive guide to the UCB style of long form comedy improvisation. 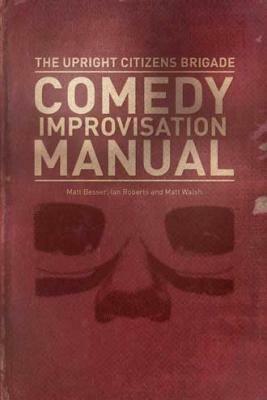 Written by UCB founding members Matt Besser, Ian Roberts, and Matt Walsh, the manual covers everything from the basics of two person scene work (with a heavy emphasis on finding "the game" of the scene), to the complexities of working within an ensemble to perform long form structures, such as "The Harold" and "The Movie". A practical "how to" book, the guide provides exercises throughout to help the reader master each new concept and technique introduced. While the manual is written to be understood by beginners with no previous exposure to improvisational comedy, experienced improvisors will find it to be an excellent resource for honing their skills, clarifying concepts, and generally taking their work to a higher level.